Open BlueDragon is an open source Java and Google App Engine CFML runtime engine. CFML is a powerful script-based language that takes away all the heavy lifting of producing web-based services and sites. CFML can do far more to accelerate your enterprise requirements than almost any other language running on top of popular Java runtime. So, you may wonder how to deploy it to Jelastic cloud? It is fairly easy. Let’s do it right now! If you don’t have an account there yet, sign-up for one as Jelastic is in free beta now. Login with your Jelastic credentials by clicking the Sign In link on the page or going directly to app.jelastic.com or jelastic.servint.net. Click Create environment in the top left corner of the dashboard. In the Environment topology dialog, specify the resource limits (e.g. 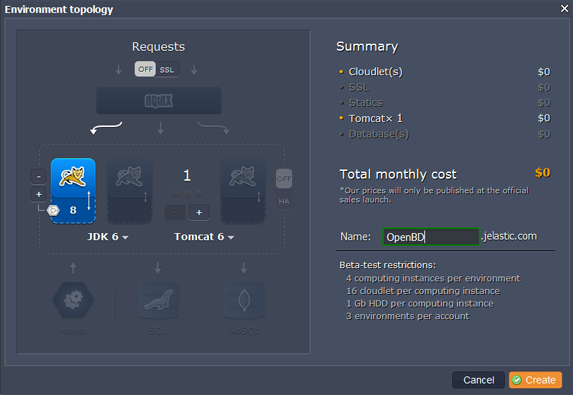 8 cloudlets), pick Tomcat 6 as your application server, type your environment name, for example, OpenBD, and click Create. Your environment with Tomcat 6 will soon be created. 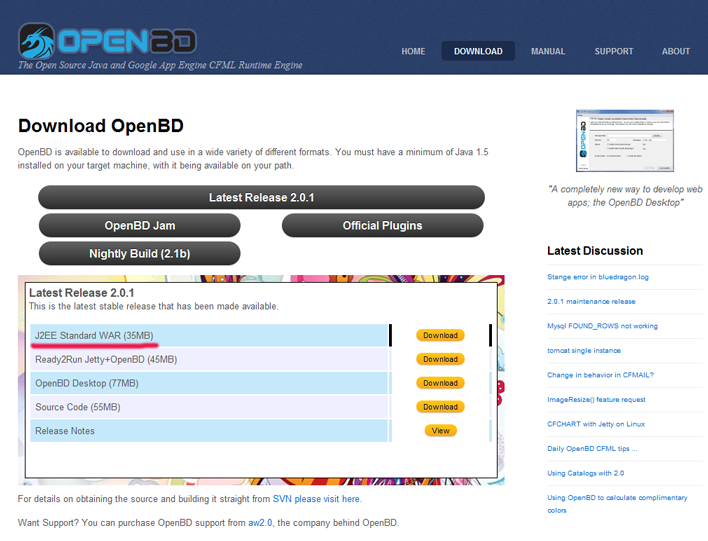 Navigate to OpenBD web site and download the latest stable release WAR file. Go back to Jelastic and upload your Java package to the Deployment manager. Once the deployment process is finished, deploy a WAR archive to the environment you have just created. After the deployment is successfully finished, launch the application in a web browser. 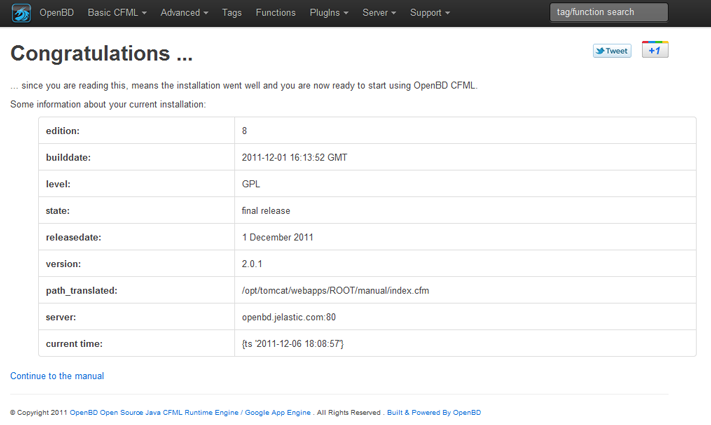 As you can see, the installation was successful, and you are now ready to start using OpenBD CFML!